Resource - Opaskwayak Educational Authority Inc.
OEA has always understood that in order to make school interesting and relevant in the minds of our students, and their parents, there should be a variety of programs offered that will enrich the offerings of the curriculum and provide a broader base of knowledge.OEA also makes available a variety of services to students in both schools from the Resource Department.PHILOSOPHY OF SPECIAL EDUCATION/RESOURCE SUPPORT:It is the philosophy of Opaskwayak Educational Authority that the majority of the community’s special needs students can be supported through differentiated, adapted, and modified regular school programs. 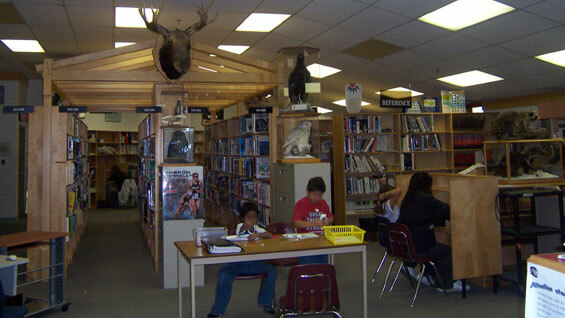 Within the capacity of their resources, Joe A. Ross School and Oscar Lathlin Collegiate will make every effort to provide a continuum of inclusive services that are appropriate, goal directed, and developed through comprehensive team consultation and collaboration.Following the philosophy of Special Education in Manitoba, it is also recognized that the needs of students vary. As required, physical and human resources and programming will be made available to allow students an equal opportunity to explore their own capabilities within the most enabling learning environments. More information on Resource is available in our Parents and Students section.